Offering you a complete choice of products which include Gigaset A500 Cordless Landline Phone, A500a Black Cordless Landline Phone, Gigaset A730 Corded Cordless Combo Phone, Gigaset A530 Duo Cordless Landline Phone and Gigaset A490 Trio White Cordless Phone. Answer machine(TAM version) :-o Total 25 minutes capacity including all pre-recorded OGM. o Ring delay: 2,3,4,5,6,7 rings + toll saver. o Total 4 voice prompt languages. 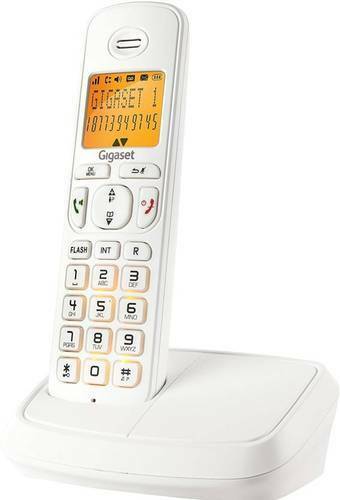 The Gigaset A 530 DUO is a set of two A 530 cordless landline phones that's perfect for your new office. As you expand your business, you can configure up to 2 more handsets to connect with the same outgoing line that you are required to share with your colleagues.